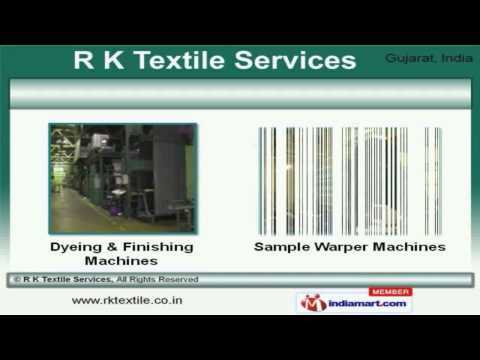 Welcome to R K Textile Services, Exporter and Supplier of Textile Machines and Clothing Fabrics. The company was incorporated in 2005 at Surat. We export to Indian Subcontinent, East Asia and other countries. Complete customer Satisfaction, Client friendly payment and shipment options make us the first choice of our clients. We offer a wide array of Rapier Weaving, Loom and Weaving Machines. Our Weaving, Water Jet Loom and Knitting Machines are in huge demand across the global markets. We offer Embroidery and Laser Schiffli Embroidery Machines that are best in the industry amongst others. Dyeing and Finishing Machines offered by us are reckoned all over the world for their superb quality. Along with that we offer Clothing Fabrics and Flat Knitting Machine for Textile Industry that are extremely reliable. We also provide Circular Knitting Machine for Textile Industry that are nothing but the best solution for all your needs.